How do I present evidence of abuse in my family court case? 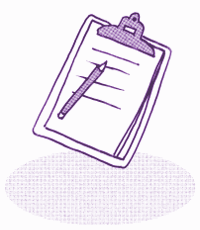 Use our Gathering Evidence Checklist as a guide. Provide specific, detailed information about the abuse that your partner subjected you to during your relationship. Take some time to organize this information, preferably in writing (point form is fine), before any meeting or appointment where you may have to talk about it; for instance, before you go to a Family Law Information Centre (FLIC), before you meet with duty counsel or a mediator or before your first appointment with your lawyer. The pattern of abuse (how often it happened, what triggered it). How long it has been going on. Whether it is getting worse. Whether you have received any physical injuries. What the children have seen, heard or are otherwise aware of. The impact of the abuse on you and on the children. What kind of abuse has happened since you left your partner. Any current safety concerns based on past or ongoing abuse. Stay focused on the legal issues of your case. Be factual and don’t exaggerate. Don’t underplay the seriousness of what has happened. Start with the most recent event, then move back to the beginning of your relationship. Don’t worry about specific dates or times when the abuse occurred if you cannot remember. Focus on the specific acts of abuse that happened and the effect they had on you and/or your children. You want the other person to know immediately what is going on right now. Once you have told them that, you can tell your story in the order it happened, including abuse that took place before you were married or living together.